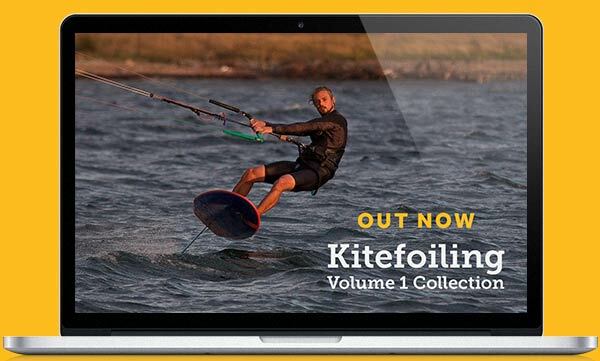 The next video in Kitefoiling Volume 1 Collection is released and ready to watch, and this week it’s the all-important Stages of Learning to Hydrofoil. Better yet it’s a free video to watch on the Progression website or download it in the Progression App today. Why is this Video Important? 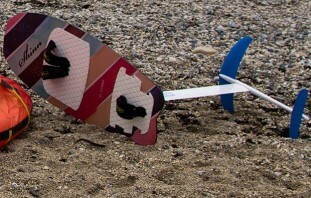 Am I a good enough kiteboarder? What are the best conditions to learn in? Do I just try and get up straight onto the foil? I end up a long way upwind, how do I get back downwind? Do some of these sound familiar? 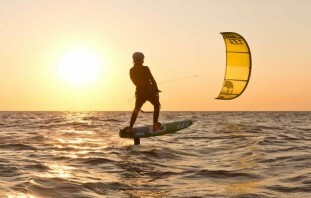 If they do then this videos is going to show you the correct path for learning to Kitefoil. It’s not going to teach you how but it will point you in the right direction and keep you heading that way, with clear goals to achieve at each stage. Each Stage gives you an overview of what you will need to master and then 3-4 Aims which you need to be able to perform before you should move on to the next stage. 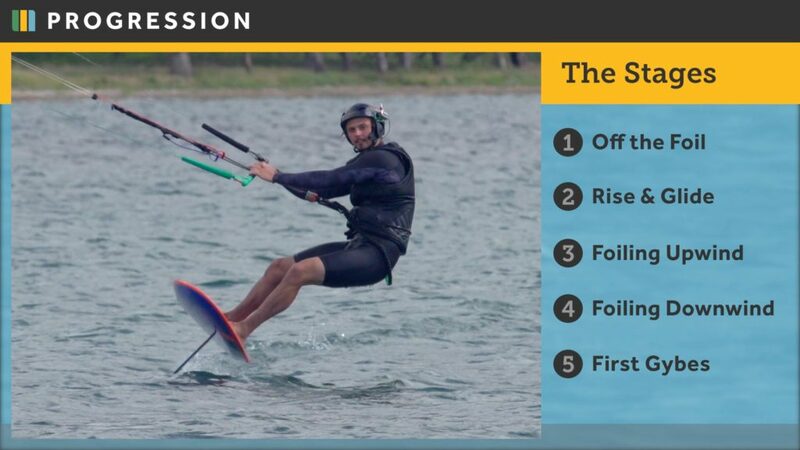 This is particularly important for “Stages 1 – Off the Foil” and “Stage 2 – Rise and Glide”, both of which set the groundwork for everything you will do in foiling and if you have patience, work through these in order, you will learn faster overall. You can watch the first three minutes below to get a taster but the 5 key stages are in the full video exclusive to the Progression website and app. 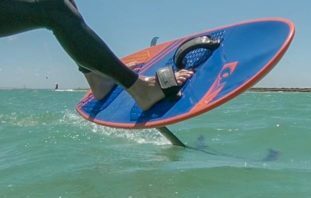 Keep coming back to the Stages of Learning to Hydrofoil video to ensure you are not missing any skills and learning in the fastest and safest way possible. As always if you have any questions please let me know in the comments or email me on hello@progression.me.